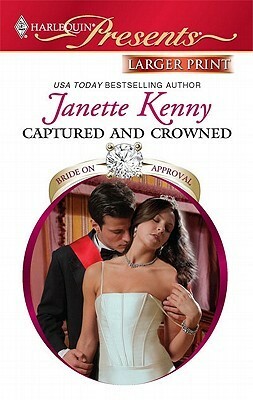 I thought this story was sweet and as I'm obsessed with royalty I really enjoyed it. I thought Demi was a great heroine with wanting to still have her career despite being a royal bride. I thought Kristo was a bit of a jerk for blaming her for the incident that happened between them. But nevertheless I really like him as well. They meet on beach and kiss without knowing who the other is. She is engaged to his brother. he becomes crown prince when is brother gets cancer. He tracks her down in Turkey. He doesn't trust her because of what she did with him. He locks her up in the palace He lets her go because he feels guilty. She goes to do her show and he follows. I hadn't read this author before, but I found I enjoyed this story enough that I wouldn't hesitate to pick up another book by her should one come my way. this was awful, a disaster ! i did not feel engaged wid the story nor attached 2 the characters. This one wasn't too bad, however the underlining tension and passion between the heroine and hero are off the charts! 3 stars. I think this story would have been much better if it had included audio of a dramatic reading of the end scene.Cheesy, but not horrible. Typical male characters. The female character had something else to her but nothing super special.